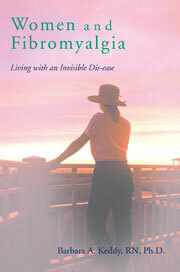 Frustrated that there is not much hope for relief from the usual medical system and its approach to fibromyalgia, many turn for help to practitioners who provide either complementary or alternative medicine (C/AM). The differences between the latter two is an artifical separation since they both entail using concoctions, therapies, herbs, or homeopathic remedies that are one and the same. The more interesting issue is how they differ from the traditional scientific ‘western’ medical approach, or what has been known as ‘allopathic’ medicine, or now commonly referred to as ‘evidence based medicine’ (EBM) of health care. However, within this discussion I do not refer to EBM as within the domain of CAM as many ‘alternate’ practitioners are prone to do. What makes something considered to be complementary or alternative as opposed to mainstream, or scientifically based medicine? Sometimes this distinction becomes blurred and confused with one another, for example, taking vitamins or supplements. Are they the domain of EBM or AM ? Is it because there are scientific experiments that provide evidence that specific vitamins are essential for healthy living, as in the recent data on Vitamin D? As usual, I have more questions than answers. Sometimes the issues are not clear cut with many shades of gray. This entry was posted in allopathic medicine, alternative therapy, botanical, Chinese herbs, complementary therapy, concoctions, evidence based medicine, Fibromyalgia, flower essences, health care industry, JinSin, junk science, magnets, natural remedies, peppermint leaves, placebo effect, pseudo science, QiGong, supplements, vitamins, voodoo science, western medicine on June 4, 2008 by Barbara Keddy.